Students from MIT and Hong Kong spend an immersive two weeks developing business ideas and proof-of-concept prototypes during the MIT Entrepreneurship and Maker Skills Integrator program. Witness teams take the stage to present creative applications in IoT and hardware, and network with an executive audience. March 14 is Pi Day, a celebration of the world’s most famous mathematical constant. 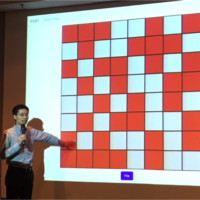 The MIT Club of Hong Kong and MIT Hong Kong Innovation Node will jointly host a stimulating evening to discover the connection between math and creativity with guest speaker, Po-Shen Loh, math professor at Carnegie Mellon University and national coach for the USA International Mathematical Olympiad. This year marks the 150th anniversary of Chinese students at MIT. 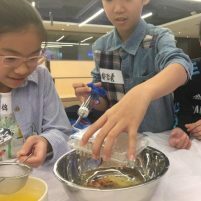 These pioneering students played a key role in bringing new technology and science back to China during an era of rapid modernisation while also promoting American understanding of China and its people. MIT SHASS Professor Emma Teng will share her research, focusing on the experiences of the earliest Chinese students at MIT from 1877 – 1931, the majority of whom came from Guangdong province. The MIT Hong Kong Innovation Node will also present to the Guangzhou community on its initiatives promoting innovation practice, connecting MIT to the Pearl River Delta. The world is changing more rapidly than ever before. Today’s children will be confronted with a never-ending stream of unknown, uncertain, and unpredictable situations throughout their lives. Their success and happiness will depend upon their ability to think and act creatively. In this presentation, MIT Professor Mitchel Resnick will discuss technologies, activities, and strategies for helping children develop as creative thinkers, with a focus on examples from the Scratch programming language and online community (scratch.mit.edu), developed by his research group at the MIT Media Lab and used by millions of children around the world. Register here. Students from MIT and Hong Kong will take to the stage in their respective teams to showcase and pitch business ideas and woking prototypes developed during the two-week MIT Entrepreneurship and Maker Skills Integrator program. This will be an exciting opportunity to support the students, see creative applications in IoT and hardware, and network with an executive audience. MIT has a record of transforming society for the better. As the Institute looks to the horizon, it sees a future of important challenges and inspiring opportunities. The humanities, arts, and the social sciences are an essential component of an MIT education — both for educating great engineers, scientists, scholars and citizens, and for sustaining the Institute’s capacity for innovation. Melissa Nobles is the Kenan Sahin Dean of the School of Humanities, Arts, and Social Sciences, and Professor of Political Science at the Massachusetts Institute of Technology. Dean Nobles will highlight teaching and research activities in SHASS, as well as key initiatives – including the Campaign for a Better World – across the MIT campus. Twelve promising startups from MIT and the Greater Boston community gather in Hong Kong to pitch to investors and industry leaders in a one-day conference co-organized by MIT-CHIEF and the MIT Hong Kong Innovation Node. Hear the latest technology trends and startup insights from founders, investors, and academia. MIT has more than 130,000 square feet of hands-on maker spaces across campus, where students design, prototype, and literally invent the future of technology one project at a time. MIT Professor of Mechanical Engineering and “Maker Czar”, Marty Culpepper, and MIT Provost, Marty Schmidt, will spend an evening sharing developments in this fundamental part of the educational ecosystem of MIT. International Conference on Computational Thinking Education 2017 (CTE2017) is the first international conference organized by the CoolThink@JC Programme for worldwide sharing of ideas as well as dissemination of findings and outcomes on the implementation of computational thinking development. Keynote speakers include MIT Professor of Electrical Engineering and Computer Science, Hal Abelson. Young student innovators across Hong Kong will spend two weeks with MIT faculty, staff and students to learn how technology can change the world with a focus on solving energy challenges. Mirroring the MEMSI flagship program, the MIT Hong Kong Innovation Node kicks off an immersive tech entrepreneurship program for budding entrepreneurs and makers. High school students will learn what it takes to develop an idea from concept to prototype and pitch in front of an audience of investors and industry professionals on Showcase Day. 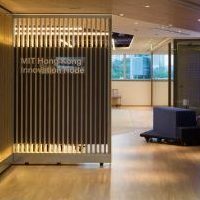 The MIT Hong Kong Innovation Node will celebrate the official opening of its 5,000 square-foot space for making and collaboration in the heart of Kowloon Tong. 12 primary school students representing top winning teams from CoolThink @ JC Competition join us at the MIT Hong Kong Innovation Node for an exciting weekend of design innovation and making. MIT Hong Kong Innovation Node opens its doors for MIT Alumni Club, their family and friends for a weekend of mens and manus workshops and activities ahead of the Christmas holidays.